I usually buy Jay a box of “Lil’ Bites” or “Mini Muffins” to take as a quick breakfast in the car on the way to school. He loves them, but they’re packed with sugar and are quite expensive. 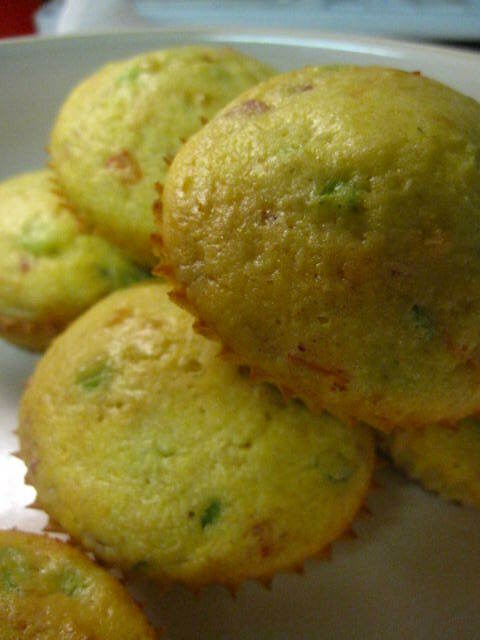 This week I decided to get away from the sweets in the morning and made savory muffins. They have a cornbread muffin base and I added some ham, red pepper and scallions. Mix the cornbread mix with the egg and milk (or whatever your bag mix calls for). Add diced scallions, peppers, and ham. Bake at 375 degrees for 15-17 minutes.